At NC State, entrepreneurs build critical business skills, connect with like-minded innovators, gain valuable real-world experience — and bring exciting ideas to market. Entrepreneurship is a top priority and key strength at NC State. Our award-winning program is spearheaded by renowned faculty and backed by a community of industry veterans and successful alumni. 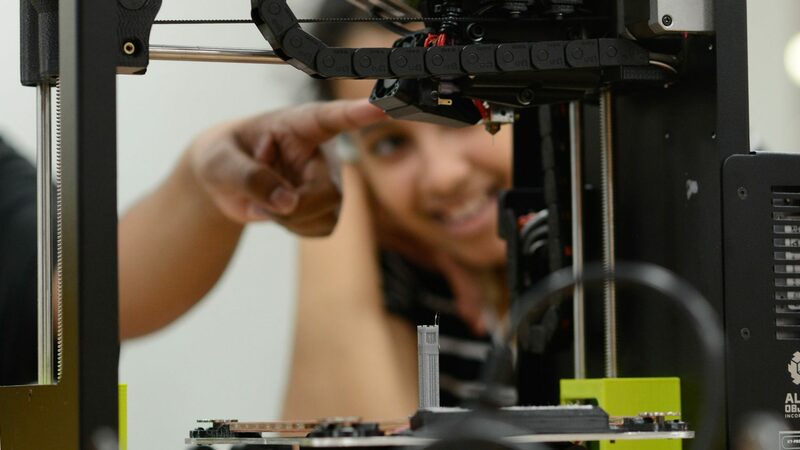 We invest in functional, collaborative spaces and cutting-edge resources that empower student entrepreneurs to develop innovative products and prototypes, limited only by their imaginations. And it all happens in one of the nation’s most prolific hotbeds for startup ventures. Our approach works, and the results prove it. The Princeton Review ranked NC State as a top 20 best college for entrepreneurs. 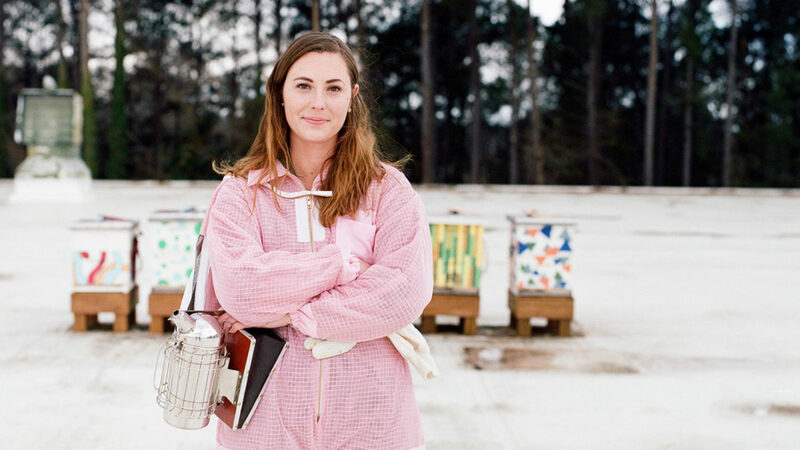 NC State alumna Leigh-Kathryn Bonner was selected by Inc. Magazine as one of their 30 most inspiring entrepreneurs under 30. In 2018, The NC State Entrepreneurship Clinic received the Excellence in Co-Curricular Innovation Award by the U.S. Association for Small Business and Entrepreneurship. Inspired by the teaching hospital model, the space is a dynamic learning environment that brings faculty, students and local startups together at a thriving co-working space in downtown Raleigh. Our introductory Exploring Interdisciplinary Entrepreneurial Thinking course was a top-ten learning module at the 2017 U.S. Association for Small Business and Entrepreneurship Conference. The course pushes students to develop a broad entrepreneurial mindset, helping them recognize opportunities in disciplines ranging from technology to the humanities. The module was also published in the 2017 Experiential Entrepreneurship Exercises Journal. We support entrepreneurs and North Carolina’s economy. The Wolfpack Investor Network leverages the power of the NC State entrepreneurial community, a far-reaching alumni network and enterprising private companies to grow our startups. A co-investment fund and angel investing platform each match experienced NC State alumni with new companies, providing vital networking, guidance and funding. The Office of Technology Commercialization and New Ventures plays a crucial role in promoting the acceleration of NC State startups. The department provides university entrepreneurs with assistance and resources to launch startups and scale businesses. 31 currently active companies got their start in our Entrepreneurship Garage, and new ideas are growing each day. The companies already in business have a combined $75 million in venture capital investments. A $5 million endowment will bolster a unique entrepreneurship initiative at NC State. The substantial gift will benefit the Albright Entrepreneurs Village, where students across all academic disciplines live and learn with like-minded peers in an environment that fosters creativity and encourages enterprising minds. The Alumni Entrepreneur Network won the Alumni Relations Engagement Project, Event or Program Award for “The Rise of NC State Alumni Entrepreneur Network” from the Council for Advancement and Support of Education. NC State entrepreneurs enjoy the added benefit of a collaboration among four prominent research institutions. The Triangle Venture Alliance is a partnership between NC State, Duke University, the University of North Carolina at Chapel Hill and North Carolina Central University to fund startups founded by alumni, students, staff, faculty and members of the local community.